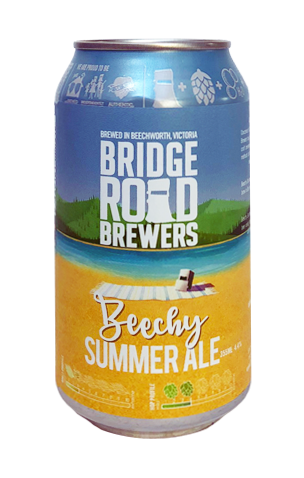 Bridge Road's Beechy Summer Ale is the Beechworth brewer's first ever beer. Sort of. That was the Australian Ale, a beer that's updated its look, had its recipe tweaked and changed its name at various times, evolving most recently into Beechy. When it did, it gained one of the brewery's most fun labels too, one suggesting Ned Kelly has taken a dip in a High Country water hole. In time for summer 2018/19, it's evolved again, albeit in format this time around as it becomes the latest Bridge Road beer available in cans. While the original Australian Ale predates The Craft Pint by some time, we reckon the current beer is leaner, cleaner and paler than its forebears. There's only a little malt sweetness – like that of a golden ale – with gentle citrus and melon hop characters the defining characteristic.